It may not be immediately obvious to most, but a career driving Heavy Goods Vehicles can be a rewarding one. In fact, there is currently a high demand for drivers with many jobs offering salaries of up to £30,000 a year! If a career change is on the cards and you’re wondering how to get started, call Wayside Transport now for HGV training Hampshire. LGV/ HGV C1 Training permits you to drive Heavy Goods Vehicles over 3,500kg, and even covers ambulances too. 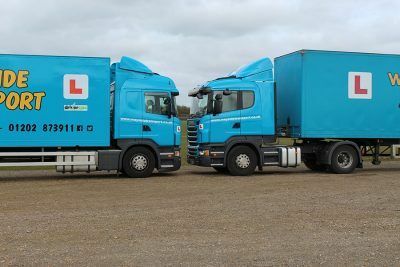 The C1 License is also known as a Rigid, Class 2 or LGV License (the terms HGV and LGV refer to the same thing, although LGV is now the preferred choice). At Wayside Transport, we provide the best HGV training in Hampshire. Our team consists of fully NRI accredited instructors all of whom hold up-to-date DBA/ CRB certifications. We have both male and female instructors available, and statistics show that the first-time pass rate for our students is 25% above the national average. So, if you took your car test after 1997 and are searching for HGV training in Hampshire, look no further than Wayside Transport. We can also provide training onsite at your premises if this is something that you require. Our approach is to take inexperienced drivers and mould them into professional and responsible drivers who can operate safely and within the confines of the law. All necessary requirements will be covered, and we leave no stone unturned. An HGV Driving Assessor is an integral member of any transport team and is largely responsible for maintaining safe driving practices. They routinely work closely with management and drivers to review and help update safe driving practices and are a cost-effective alternative to hiring an external assessor. At Wayside Transport, we are the leading choice for HGV training in Hampshire, and our assessor training is no exception. We provide a five-day course with no pass or fail – just bespoke training that is designed to ensure that your assessor is capable of carrying out their assigned role. If you’re a competent HGV operator and are looking to assume additional responsibility, become an instructor today with Wayside Transport! Our ten-day instructor course is the perfect choice for those looking to learn how to teach. The first half of the course will teach you how to drive in-line with the LGV Instructor Standard. The second half the course will prepare you for your Instructional Ability Test. The course itself is delivered at our facility in Ferndown. For the test portion, you can either choose to take this at our test centres in Poole or Southampton or at a centre that is local to you. If you’re looking to complete your Hampshire HGV training, you won’t find a better choice than Wayside Transport. Our team are friendly, down-to-earth and committed to helping you work through any anxieties you may be experiencing about learning a new skill. We utilise tried and tested training methods to provide the best possible training experience. We possess in-depth knowledge of current regulations and are constantly expanding our knowledge so that we can teach you the essential know-how. 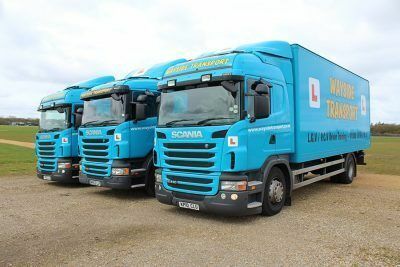 Whether you’re a first-time learner or looking to upskill further, we can help steer you the right way with HGV training in Hampshire that is second-to-none.